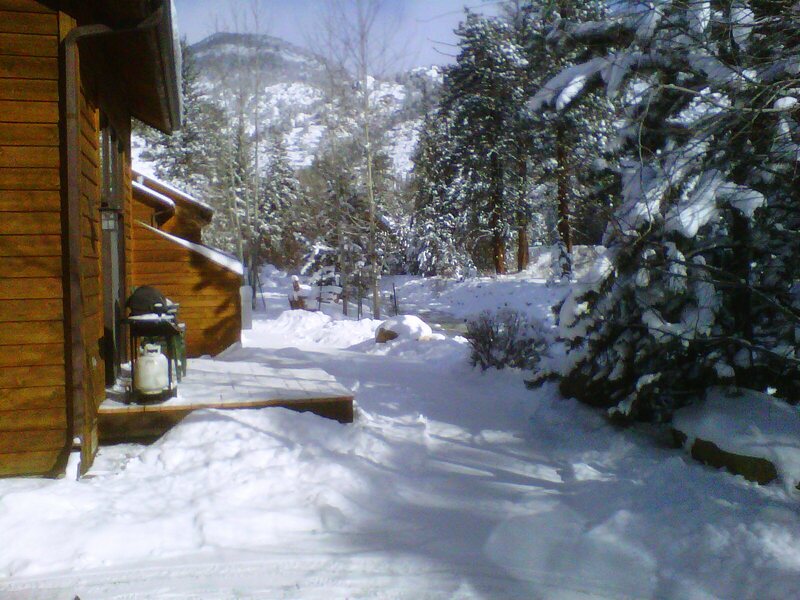 Even a late winter/early spring storm named Virgil, a delayed flight on Southwest Airlines, bungled baggage handling and a near breakdown at the Budget auto rental counter didn’t stop Susan and I from having a thoroughly enjoyable seven-day visit to Colorado. This was our regular spring break getaway week, always mandated by Susan’s teaching schedule. Of course, this year it meant a lot more to me because it gave me a week to relax and regroup before launching a serious search for that next great job in public relations. And relax and regroup we did, thanks to awesome people, surroundings and weather. For the record, the beer was pretty good, too. After finally getting awarded our cool Ford Fusion — complete with Sirius radio so we could listen to the Elvis Channel and others — we made the relatively short drive from Denver International Airport to our final destination for the next five days, the resort town of Estes Park. Freeways got us most of the way there, but it was winding, climbing two-lane highways from the cool town of Lyons up into the mountains. Fortunately, the roads were plowed, I know how to drive on snow, and we had The King of Rock and Roll to keep us company. On the trail to Bear Lake in Rocky Mountain National Park. A gorgeous meadow in Rocky Mountain National Park. The view from our condo at River Stone Resort the morning after our arrival. 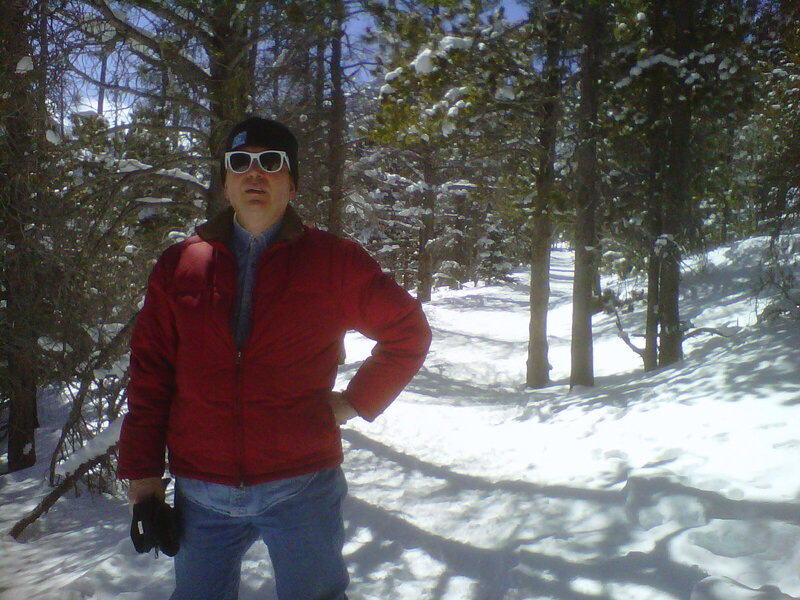 The PRDude (you guessed it) somewhere in Rocky Mountain National Park. 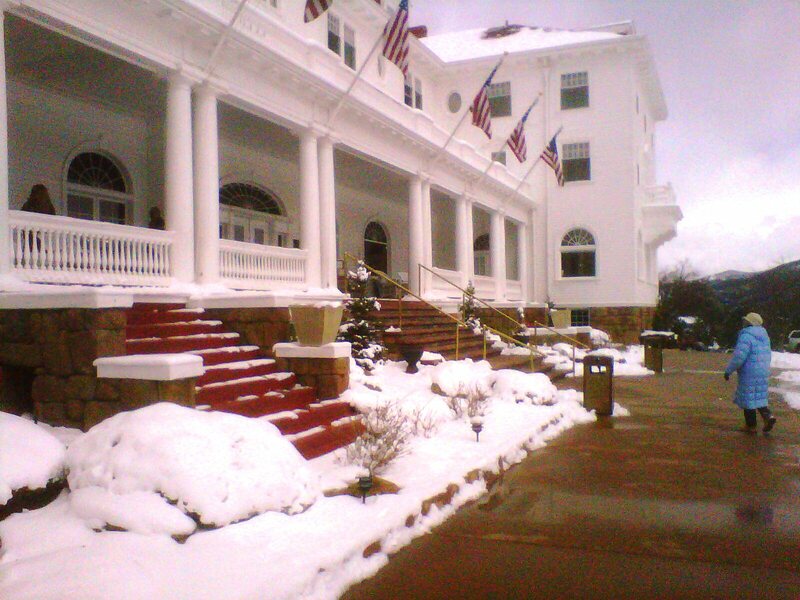 The entrance to the historic, and reportedly haunted, Stanley Hotel in Estes Park. From the above, you can ascertain that were in a pretty cool party of the country, full of spectacular scenery mostly unspoiled by man. It was inspiring for this guy from the flatlands of Chicago to walk outside and gaze on snow-capped mountain splendor. We even saw a herd of elk one evening right behind River Stone. Equally impressive, however, were the people we met. The Coloradans we encountered at Kind Coffee, at the Safeway store, at the Public Library,in restaurants and our hosts Sue and Linda and River Stone were warm, friendly, inviting and genuine. Motorists were polite and respectful of other drivers. I can better understand why people want to live here: Mountains, lakes and rivers — and some of the most welcoming people I’ve met. A shout out to the Colorado tourism folks: This public relations professional suggests you build awareness for the warmth and friendliness of your people, along with the world-class ski resorts and mountain meadows. 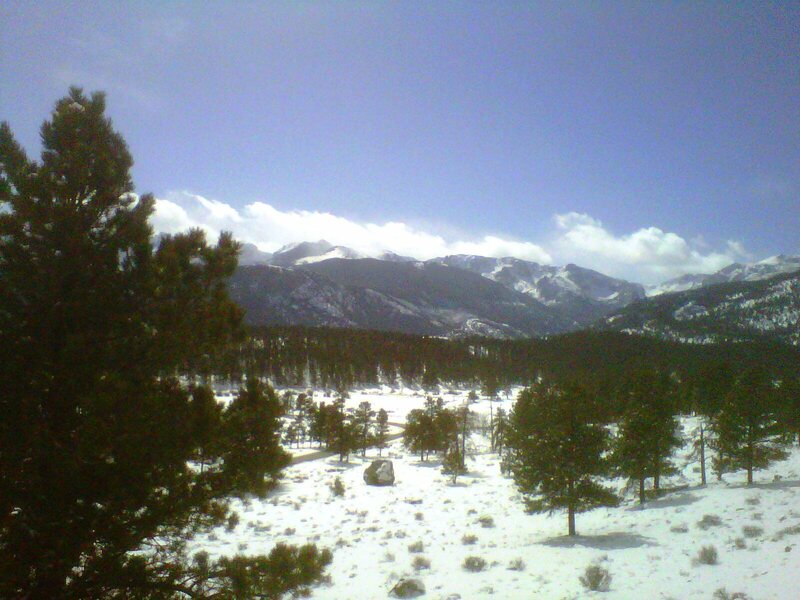 In his classic song “Rocky Mountain High,” the late John Denver sings about the virtues of the Colorado Rocky Mountains in somewhat of a spiritual sense. He got that right, but should have added a verse about Coloradans. 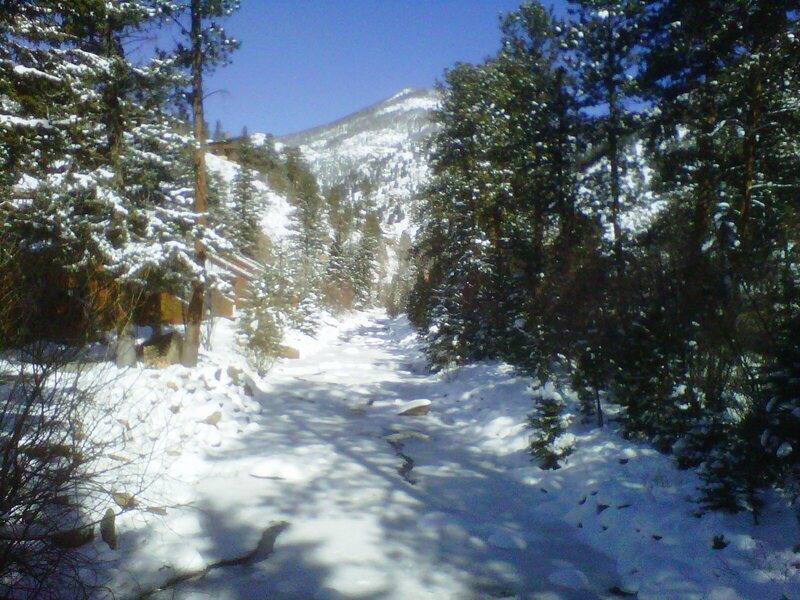 What are your thoughts on Colorado and Coloradans? This entry was posted in Uncategorized and tagged Colorado, Estes Park Colorado, John Denver, public relations, Rocky Mountain High song by John Denver, Rocky Mountain National Park, Rocky Mountains, The Stanley Hotel in Estes Park, Winter Storm Virgil. Bookmark the permalink.